At Janell’s suggestion, on Thursday, August 9th, we went on a 4 hour bike tour covering most of the primary tourist sites in Krakow… I know, this sounded suspiciously like exercise to me. She discusses some of this in her previous post, but here are a few more details of the sites. 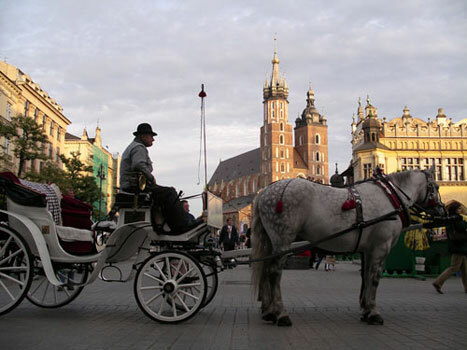 We began in Krakow’s Old Town, starting in the main market square near St. Mary’s church. We then visited Jagiellonian University, which was established in 1364 by Casimir III the Great in Kazimierz (a town which is now one of districts in Krakow). It is the oldest university in Poland, the second oldest university in Central Europe and one of the oldest universities in the world. Copernicus and John Paul II are two of their most famous students. We then peddled past Wawel castle and the fire-breathing dragon, which we’d seen on our own a few days before, and then to Oscar Schindler’s factory, located near the Jewish Ghetto, an area which now includes a museum and a contemporary art museum. Krakow’s Jewish Ghetto was formed in the Podgórze district, across the river from the Jewish district of Kazimierz in 1941. Beginning in 1942, the Nazi’s began deporting Jews from the ghetto to surrounding concentration camps. The last and final deportation occurred in March 1943, when the remaining 8,000 Jews deemed able to work were sent to a labor camp and 2,000 deemed to weak to work were killed in the streets of the ghetto. 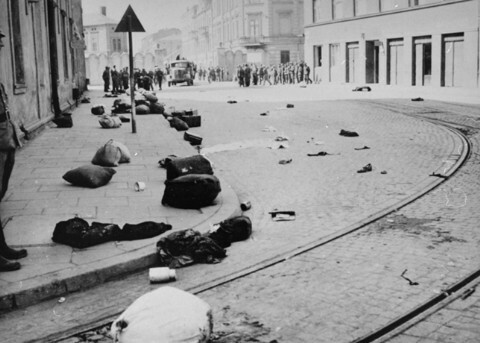 The image below shows family belongings in the ghetto streets after the final deportation. 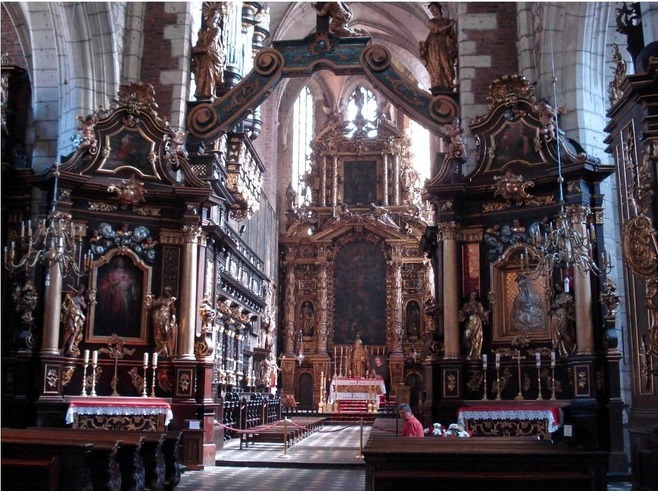 Our last leg took us through the Jewish district (although according to our guide only 200 Jews currently live in Krakow) and then to the Christian district where we saw the ornately decorated Corpus Christi Basilica initially constructed in 1340. Tired and hungry after our ride we made a beeline for the Mexican restaurant Janell mentions below, and where we had had dinner two nights previously. Great food and close to home.